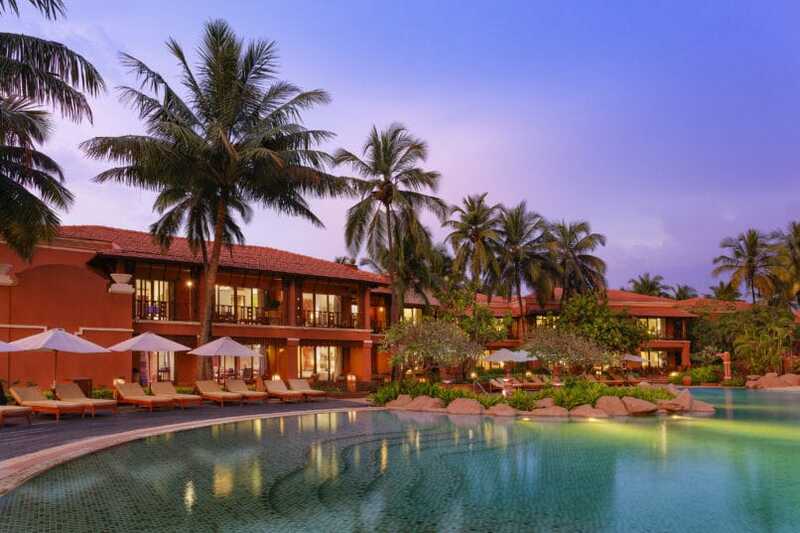 A new hotel opening in Goa just as the festive season begins is always exciting news. At least for me, South Goa is a more welcoming proposition – a space that is far far away from the crowds that descend on this otherwise charming pastoral state during Christmas and New Year’s. South Goa is another entity all together – within an hour of travel, you go from thronging party crowds to winding roads and idyllic village scenery with no one around – the bustle replaced by serentity, a combination that’s really compelling. 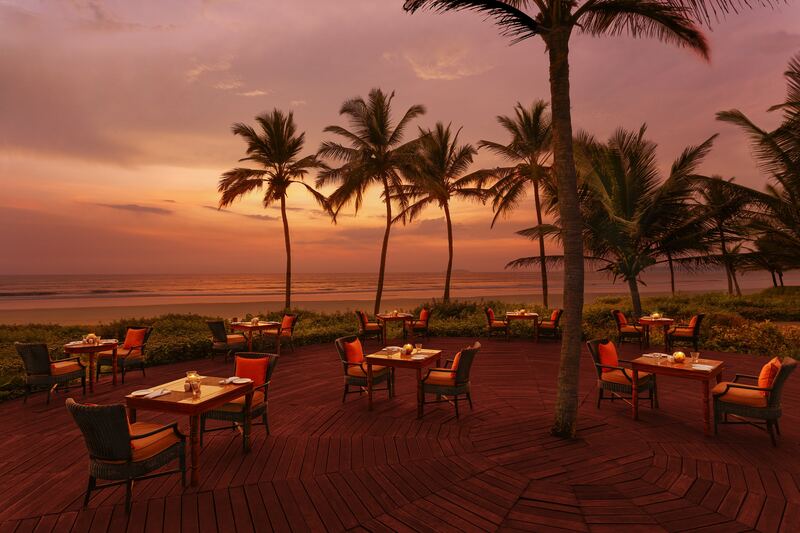 ITC Grand Goa, which opened doors only in November, is right on the scenic Arossim Beach in Cansaulim and is the address to seek out this festive season. The stunning, near-isolated, private beach is of course a huge attraction here, but there is a lot else going for the new property. 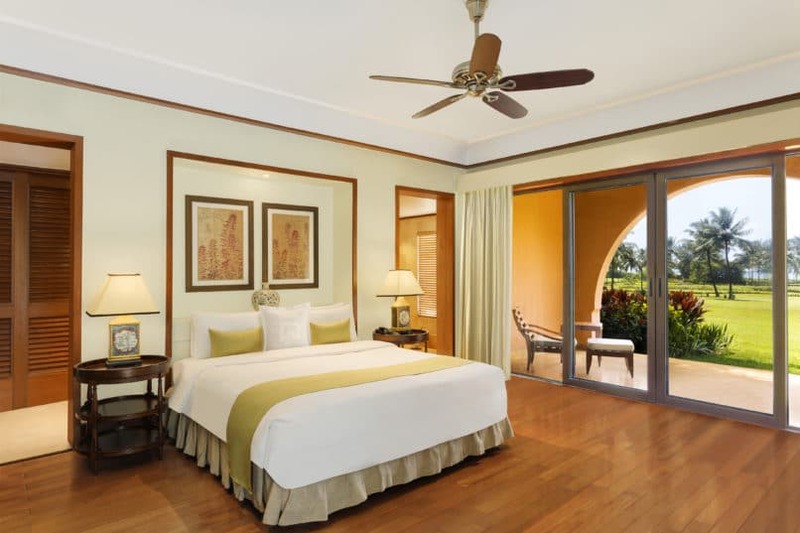 The best part about ITC Grand Goa is definitely its layout and design. Built to resemble a Goan village, the sprawling hotel is spread over 45 acres of green corridors, lagoons, streams, little bridges and winding paths. Lead architect Simeon Halstead and landscape designer Peter Imrik have come together to create a real marvel here. All the restaurants are together at the ‘village square’, a bustling hub for people to meet and mingle, and try out food from different restaurants. 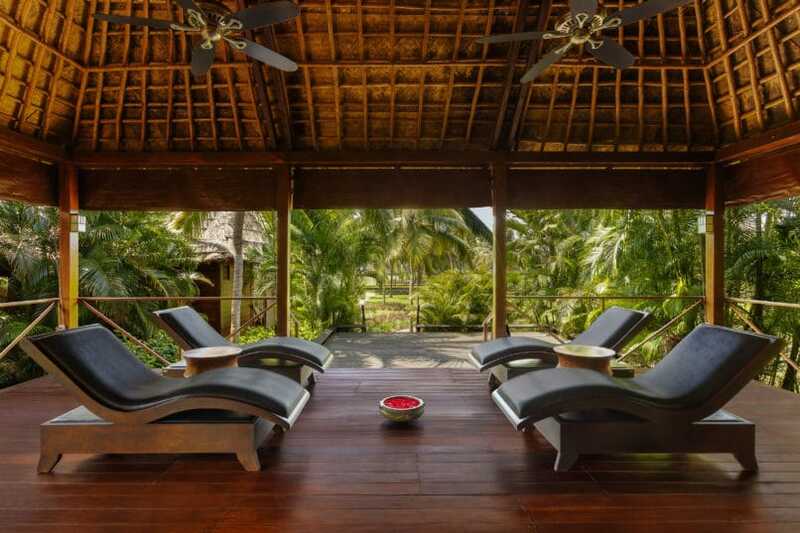 Each of the 252 rooms look out at some water body or the other – either the lagoons, streams or the sea. Like a typical Goan village, the sea is never far. The hotel itself is divided into five parts, each with villa-like room blocks where you feel like you are living with your village neighbours rather than in a hotel. My sea-view suite came with a huge balcony with an easy chair where I sat looking at the swaying palm trees all around. Often a magpie robin or a white-browed wagtail would come to say hello. The two room, 127 sq m Luxury Suite had everything one could need and more: a large living space, floor to ceiling windows to showcase the swaying palms and sea outside, a bathroom more spacious than the average Bombay flat fitted with a sunken bathtub that resembled a little swimming pool area, and a bedroom to escape into for the night. The best part of being in Goa – okay, fine, the second best part after the sea – is Goan food. Whether it is prawn curry, fish curry, fish fry, poi and sausage or sausage pulao, pork vindaloo, chicken cafreal or whatever else you may fancy, the Goan food at the hotel is absolutely addictive. 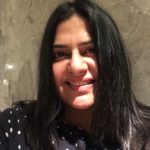 There is Ottimo with Italian fine-dining and Kebabs & Kurries with heritage cuisine, as well as Pavilion with world cuisine, but hands down Tempero (meaning ‘seasoning’ in Portuguese), is the best restaurant at the hotel – as it should be, I might add. Soon, The Royal Afghan, the beach side barbeque restaurant will open too, but, despite the fabulous views of the Arossim Beach, you might find yourself rushing back for the prawn curry at Tempero more often than not. Wash it all down with feni, of course! The service at all restaurants, and across the hotel, is impeccable – all smiles and always ready to fix your odd demands. Without realising the time I ordered for bread sticks one morning and instead of saying they are freshly made for lunch, the Pavilion (coffee shop) staff went scurrying around and got them made! When I was not eating, I took the golf cart (when I say the hotel is sprawling, I meant it) to the beach and watched the waves gently kiss the shore. The whole vibe of the hotel is of living in a Goan village. One evening I saw a glorious sunset, the great ball of fire dropping into the sea in a blaze of colours, and another I spent at the spa, Kaya Kalp, getting a rose oil massage. If you are the kind who must get out of the hotel and do things, the hotel arranges various interesting activities such as a visit to a 400-year-old Portuguese villa belonging to a local illustrious family, or a Portuguese-style heritage meal at another old home from the 1700s, or crab-catching and boating, or even visits to Panjim’s various quarters for arty explorations. Buy a Mario Miranda artwork, walk around the Latin Quarter, and experience the bustle of North Goa before you return to the bliss of the south.